I’ve had a sudden change of heart at the last minute due to the fact that....Battleborn is on sale for 15 bucks for the PC version!!! 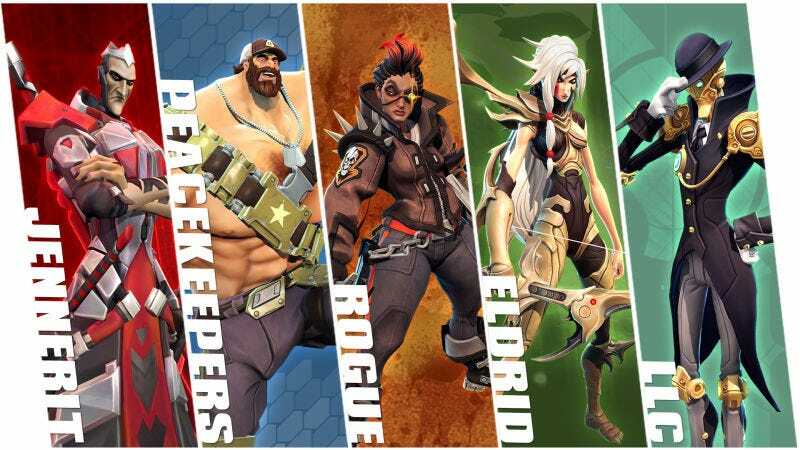 So, sorry Evolve but on August 2nd we are all playing battleborn! Head on over to http://www.humblebundle.com to snag your copy. The season pass is also on sale on amazon today for 15 bucks as well. The season pass gives you five keys to unlock, ostensibly the 5 new heroes (Alani and Pendles already released, 3 more incoming) but can be used on any hero of your choice and also 5 new story mission challenges. If you’re on the fence, I obviously adore this game so I’m going to say, just try it. It’s really got something for everyone. If you hate MOBAS there is a fun and varied “story” mode (it’s not a great story but the missions are varied and fun) and there are bot matches that are pretty fun and you can play coop. Also of note is that you get 230 platinum to spend on a skin or taunt! What a great deal! Finally - make sure you do that prologue mission :( The game forces you to finish before you can play. It will unlock several characters. I will be having a contest today on Discord to give away one free copy of the game for PC so stop on by and when you see me type “Battleborn for Free, who wants it?” You type: Baba Yaga. First to do so, wins! August 2nd at 8 pm EST we will be playing Battleborn on PC! Our previous winners of the photoshop contest is sfrost and so if he wants, he has a free copy!